Altogether it is hoped 65 boats will be built at both sites in 2019, with the core range from 40 – 60ft built in Arundel and the larger boats built in Hythe. 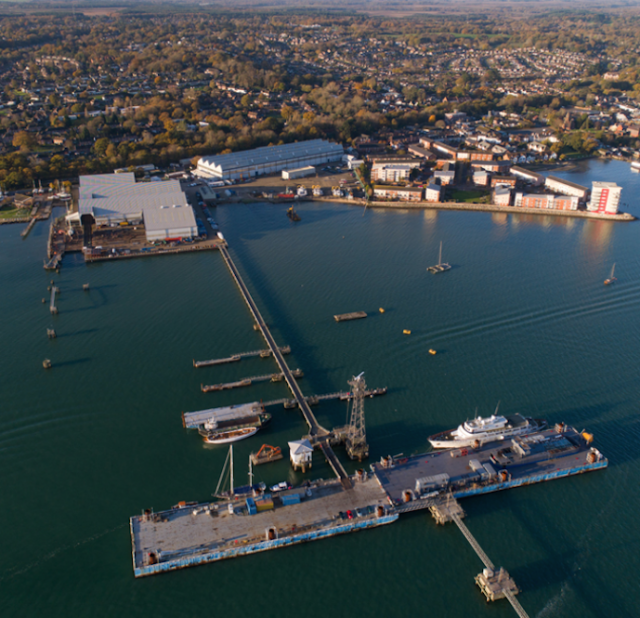 Fairline Yachts has opened a new commercial shipyard facility in Hythe, Southampton. The shipyard is able to accommodate vessels of up to 950 tonnes and 11.5m beam, which can be removed from the water via the slipway and stored undercover. The site has more than 10,000sqm of covered working halls with workspace for crew or contractors to carry out required works. “Opening this new facility is an exciting step for Fairline Yachts,” said Fairline Yachts commercial manager, Robert Hammond. The shipyard is also capable of berthing vessels from 10m to 100m. 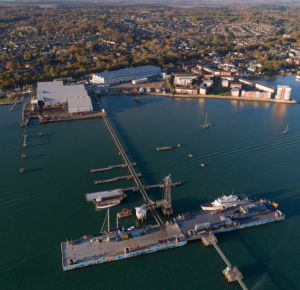 The move follows on from Fairline CEO David Tydemann admitting boatbuilding has been slower than desired at Hythe, largely due to problems recruiting the workforce resulting in a production challenge. However, production is now being increased ‘aggressively’ both at Fairline’s main Arundel yard and its Hythe base – around 20 staff a month are being recruited and there are plans to move tooling for the Targa 63 and the new Squadron 64 to the South coast this month. “The tooling is common for the 63 and 64,” said David. “We’ve got three boats being finished at Hythe. It is planned that the third 64 will be built from scratch in Hythe. “We had hoped to build around 150 boats in the first three years, but we’ve built around 100,” said David. “Building boats in the background was slower; we need to start making money for our investors.